Don’t you wish there was a conference that combined high-quality sessions with an amazing social experience? Well guess what? You found it! Social Media Marketing World® takes place in beautiful San Diego, California on March 20 to March 22, 2019 at the bayfront San Diego Convention Center. You’ll join thousands of fellow marketers at this mega-event designed to inspire and empower you with social media marketing ideas. Known for its high-quality content and events, Social Media Examiner is the world’s leading online social media magazine for businesses, offers the leading podcast and live video show covering social media and is the exclusive sponsor of the Social Media Marketing Society. With more than 1.5 million monthly visitors, Social Media Examiner is in a unique position to recruit the best presenters and host the industry’s largest social media marketing conference. 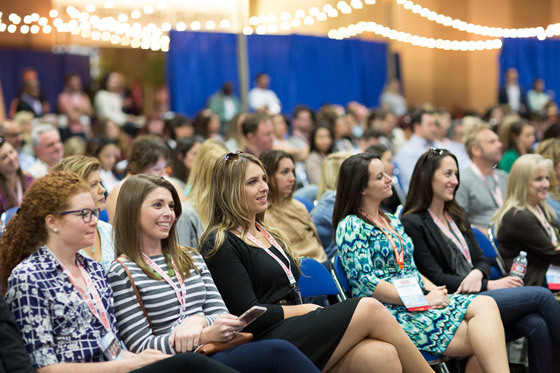 More than 40,000 marketers have attended prior events hosted by Social Media Examiner, including Social Media Marketing World 2013, 2014, 2015, 2016, 2017 and 2018, Social Media Success Summit, Facebook Success Summit, Small Biz Success Summit and Blogging Success Summit.